Our ‘Expert Talks’ series is a collection of interviews with leading industry professionals within the realm of VR, Video and Animation. Today we caught up with Dr Brendan O’Flynn who heads up the Wireless Sensor Networks group at the Tyndall National Institute. 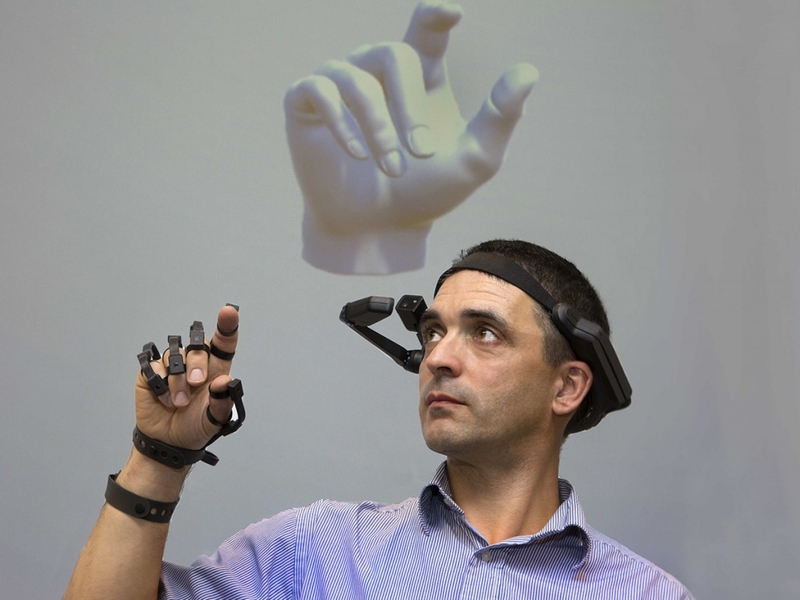 In tandem with the Telecommunications Software and Systems Group based in Waterford IT and with a little help from Bray based product design experts Design Partners, Brendan’s team have developed a ‘Smart Glove’ device that transports people’s hands into the virtual world. The glove tracks hand movements with incredible precision and accurately provides the user with a fully immersive experience. Last November the team picked up one of the top accolades for their work at the Technology Ireland Software Awards and recently they’ve been stateside showcasing their technology at the Consumer Electronics Show (CES) in Vegas. Brendan, can you tell me a little bit about your own background? I did my degree in Electrical Engineering, and following on from that my Postgrad & Masters – over the course of longer than I care to remember! During that time I was also involved with some start-up companies and eventually I found myself heading up the Wireless Sensor Network group at Tyndall. Apart from that I’m a Cork boy. What was you first experience of VR? The Apollo mission started crashing, there were lights flashing, buttons and levers, that obviously needed to be pressed or pulled but I wasn’t able to interact with them. That seems like a nice Segue into discussing The Smart Glove. I read that the hardware is a culmination of over a decade’s worth of research in the development of motion sensing for the human body and that it incorporates the latest sensing technologies needed to bridge the human and digital worlds of AR, VR and robotics. Can you unpack that a little bit for our readers in terms of the technology? Well within my group at Tyndall we are very much focused on what we call ’embedded systems’, so we are not doing virtual reality in the true sense of the term. What we’re developing is the hardware and software systems that allow users to interact with the virtual world. 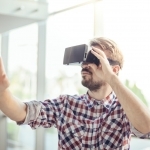 So in many ways we are reliant on other people to develop the virtual world for us and what we are doing is providing the capability for users to truly interact with that virtual environment. Over the past 20 years, we’ve been developing biomechanical monitoring; looking at virtual measurements in particular those that can incorporate different types of sensors like gyroscopes or compasses, and developing hand monitoring systems around them. So to begin with, this research was never intended as a virtual reality interface. Our focus was primarily on how to measure, very precisely, how people move their hand and fingers. So is it more of a timely meeting of these two technologies that you’ve seen an application for Virtual Reality with the Smart Glove? 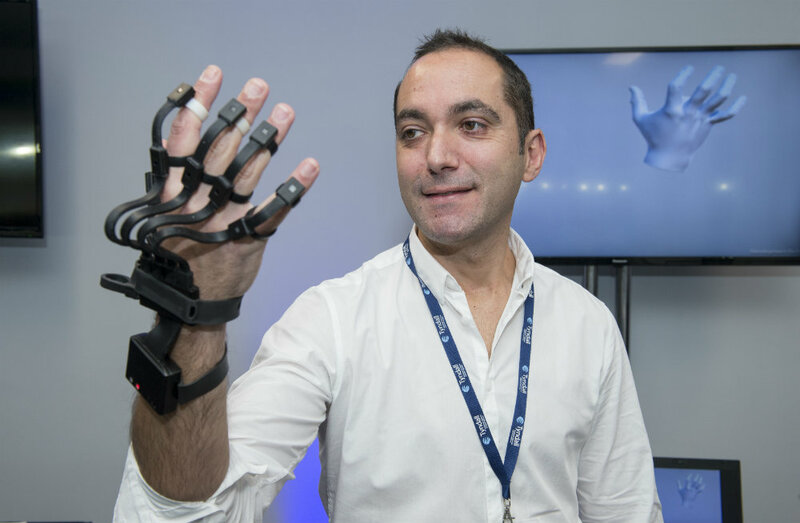 Exactly, so our research gave us the capability to measure the motions of the hand and we started looking at the market opportunities associated with this type of technology, one of which was augmented and virtual Reality. Do you have many competitors in the market place? So I’m just back from the Consumer Electronics Show (CES) in Vegas, where there were literally thousands of companies and start-ups showing their wares and 150,000 people walking around looking at the latest technologies. We were over there demonstrating our technology and I’d say we were one of about 3 glove products, all with different specialities. 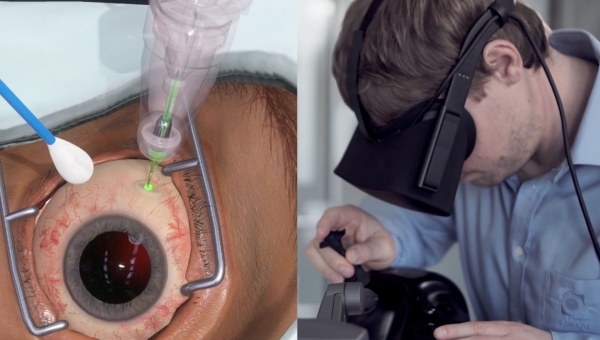 Some were more focused on medical and therapeutic applications and others were focused on different aspects of Virtual Reality. There are a number of these products at the Kickstarter stage but none that are really on the market yet. That seems like very small number in terms of your competitors, but what’s the unique selling point of your Smart Glove? The technology we have developed isn’t just this really complex hardware. The secret sauce is the algorithms we are using to transform the data into information about joint angles and movement. There’s a thing called ‘data fusion’ that involves really complex mathematical algorithms which is what my group have specialised in over the last 20 years. That’s what differentiates us from a lot of the other products on the market; we’re doing all our processing on the glove and that allows us to transfer the data very quickly over a wireless link. So we are taking data from these sensors, one on each finger and on the palm of the hand and we are doing data fusion mapping and transmitting information at about 100 times per second. The movement of your hand in real life and the corresponding hand in the virtual world is almost instantaneous. I’ve read that prototypes had been used for medical training? And what other potential applications do you foresee? There are number of opportunities particularly in augmented reality, in the area of Smart Factories and industrial control applications. We’ve been given funding from Science Foundation Ireland. They’ve funded a big project with us in the area of Smart Factories of the future and as part of that we were looking at integrating our software systems with headsets for the operational control of different types of machinery. How did you find CES in Vegas? So with the glove you can monitor the movements of the hand, but we also have the capability to be able to get a Haptic response. So you can understand and feel when you’ve pulled a lever or picked something up with your fingers. Tell us more about your project partners? Our project partners for the Smart Glove were the Telecommunications Software and Systems Group in Waterford IT, they were collaborating with us on the virtual reality end of things. So they have been developing the technology to help us get this stuff into the virtual world. It’s through them, actually, that I had my experience landing the Apollo 11, which inspired me to want to bridge the gap between sitting there passively and being in control. It’s also important to mention that we worked with a fantastic industrial design company called Design Partners based out in Bray. They worked on optimising the ergonomics and user experience associated with the use of the glove. They also came to CES with us and their input has been invaluable. 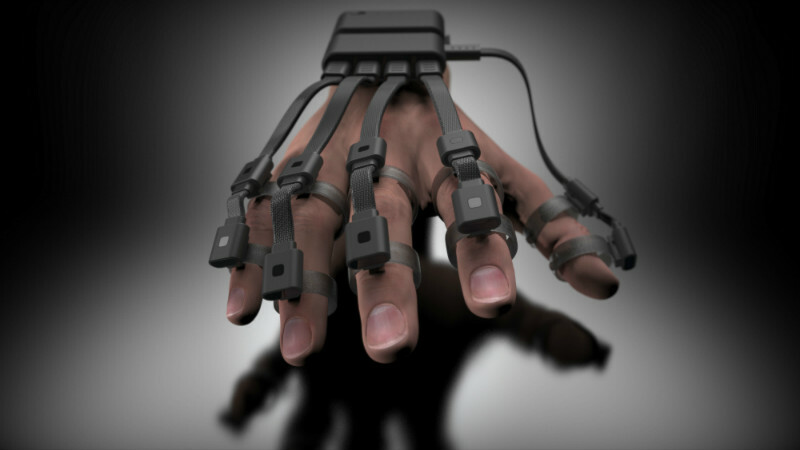 So what’s the next step for The Smart Glove? Well it is an Enterprise Ireland funded project and the next step is to figure out how to commercialise it. So we have developed a number of prototypes and that’s part of the reason that I was over at CES. I got to meet with a number of venture capitalists and very importantly talk to people who have developed similar technologies and learn from them about some of the complexities around taking a product from prototype to production. So now the next stage is to figure out what the actual market opportunity is, one of the problems is that the potential application is so versatile and to bring it to market we need to focus on one thing -so that’s where we are at the moment.